I want to live in a world where everyone feels comfortable about their word skills. When skills are weak, confidence suffers, weakening skills even further. Together we'll break that unhelpful loop and get those spelling, reading, and writing skills on track. I'll give you a short list of things to do. That's right, improvements can be made quickly, easily, and painlessly. I promise you'll be amazed. The key that opens the door to new skills is tiny but mighty! Like me on Facebook - If you want to be the first to hear about new ideas and offerings, like my Facebook page. Let me know what you'd like to work on - Choose what area you'd like to focus on, and answer a couple of questions. I'll get back to you with all the support I can offer. 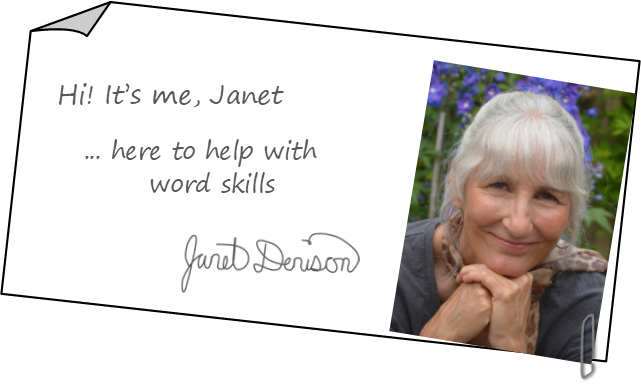 Email me: janet@wordskillz.com - I'm approachable, and I check my email regularly. I'd love to hear from you. What's the one thing you'd most like to improve? Not everyone has the word skills they need. I'm on a mission to change that. I believe we make learning harder than it should be. What's worse, we often make it hardest for those who struggle the most. We can do better! There are skills, more basic than 'the basics'. These foundation skills support the rest. When learners can't progress, it's because these few core skills are missing! I'll help you fill in the blanks. 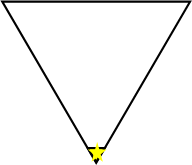 In fact, this project has taken longer than I intended because I kept finding better, simpler ways to explain things, and better, simpler activities to promote learning! I think we should all have an opportunity to be the best we can be. We all know what it’s like to feel stuck, to not know what you don't know. It's impossible to make progress! That's why I share most of my best stuff for free, so everyone, no matter what their age, background, or circumstances, can get the skills they need. 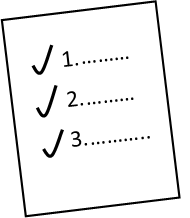 Take your first quiz and you’ll see what we can accomplish together! You'll take the first, most significant, steps on the road to better word skills. Without spending a penny, you'll discover if the help I offer is a good fit for you. I’ve created additional training, and resources you can purchase, and I offer personal support! So who is Janet Denison? I've homesteaded beside the Shuswap River, while raising 3 kids and running a toy business. I've also had a home-delivery business, been a farm worker, market gardener, coordinator of community environmental projects, and last but not least a preschool teacher, elementary school teacher and adult tutor. I'm currently living in the Okanagan in British Columbia, where my efforts are focused full time on supporting people through wordskillz.com. beside my kids, grand kids, family, friends and literacy? ...nature in all her forms, healthy soil, clean water and air, biodiversity, global citizenship, peace and solitude.